It is rare to find a child who loves every subject and wants to do them all. My son is no exception. For years I tore my hair out trying to find creative ways to get him to write. We made books, we made journals, he wrote letters and reports, but I still felt that something just wasn’t clicking. As a homeschooling mom I felt that I needed to come up with a better solution. My son was hitting middle school and it was time to work on this problem. 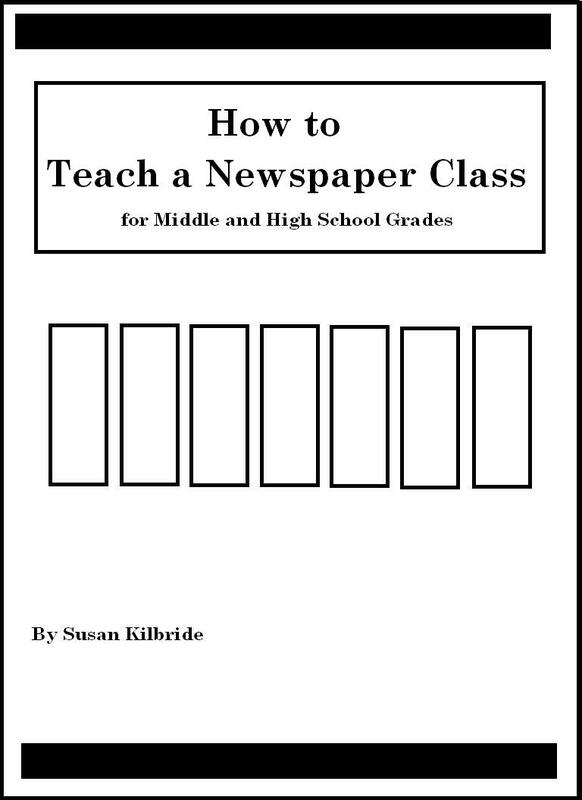 That was when I came up with the idea of teaching a newspaper class. Since my son is usually willing to try new things, I suggested the idea to him and he said, “Sure.” That was all the encouragement I needed. I did some research, signed up some kids for the class, and soon it was time for my son to write his first article. He’d been very excited about his ideas for the first issue, so he sat down at his computer, ready and eager to write, and….froze up. He had major writer’s block. He had no idea how to start his article. My heart sank. I’d committed myself to teaching this class for a year, and I was envisioning weekly arguments trying to get my son to write his articles. But I’m also trying to teach my son not to be a quitter, so we persevered. I gave him some ideas for how to start his article, made him keep at it, and he wrote it. And he hasn’t looked back. Now, after taking the class for most of the year, he’s realized that writing, like anything, takes practice. He can see how much easier it is for him to write an article now compared to when he first started the class, and he’s not afraid of writer’s block anymore. This class may have been one of the best homeschooling ideas I’ve ever had. I can’t recommend enough the idea of starting a newspaper to get kids interested in writing. That’s not to say that there aren’t other creative ways to do this. We’ve done a number of them through the years. One of our favorites was making books. There are a number of ways out there that your kids can make books that look like real published books. We purchased Creations by You kits and my son made limerick books, joke books, haiku books, and just plain story books. Another thing we did was to make a scrapbook of events in his life. For each page of the scrapbook I would give him a short sheet of paper with lines on it that he would write about the event on. Once he was done, we’d paste it to the scrapbook page and then decorate the rest of the page with photos and other items. One thing that some of my friend’s children are doing is writing blogs, either on their own or as part of a larger family blog. All of these projects, including the newspaper class, have one thing in common. They produce something that has a larger purpose than just writing a story on a piece of paper. It seems like kids are more receptive to a writing project when they can see that it has a larger purpose, not just writing for the sake of writing. Do any of you have any kids’ writing project ideas out there that you would like to share?